Patea River mouth, with campground and houses close by. River training walls, breakwaters or moles visible. Railway line at left. South Taranaki Bight. 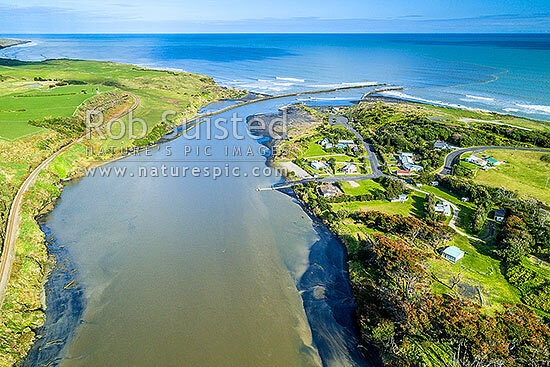 Aerial view, Patea, South Taranaki District, Taranaki Region, New Zealand (NZ), stock photo.